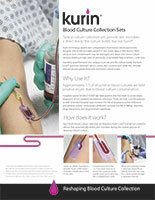 Kurin Inc., the inventor and manufacturer of 510(k)-cleared Kurin® blood culture collection sets, announced today that the Temple VA Hospital in Temple, TX, presented their findings comparing results of Kurin and Magnolia Medical’s Steripath at the recent Southwest Association of Clinical Microbiology. They are the first hospital to report on results comparing Kurin®, a passive low-volume diversion technology to Steripath®, a mechanical diversion device. They concluded that both products were effective. 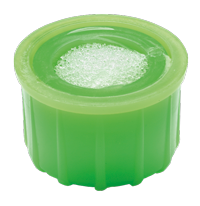 When they used Kurin, they had a blood culture contamination rate of 0.2%. The authors concluded that there was no difference in rates of specimen contamination, despite the fact that Kurin diverts significantly less blood than Steripath.